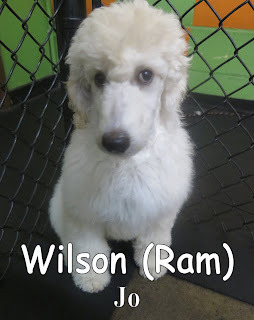 Yesterday, we had the pleasure of meeting Wilson. He is a 3 month old, 16 pound, white, Standard Poodle. Wilson spoke great dog, and enjoyed playing with the other members of the medium pack. We look forward to seeing him again soon. Below is a clip of Wilson playing with Benji.